Bioware is making some ambitious claims in the latest trailer for the upcoming shared-world shooter, Anthem. 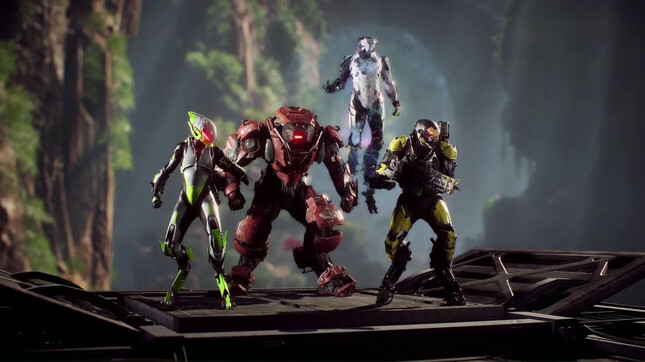 Detailing elements of the game's story-telling system, the trailer states that Anthem contains "a reinvention of personal narrative in a multiplayer game." There's also some distinctly Bioware-esque features in the trailer as well, with the ability to "develop bonds with your pit crew" – although lead producer Mike Gamble has previously confirmed there won't be any romancing. Here's hoping the emphasis on narrative will set Anthem apart from other shared-world shooters that have struggled in telling a story with consequences and impact (*cough* Destiny *cough*). If there's anything Bioware excels at, it's telling a compelling story. EA has also confirmed that a 'demo' for Anthem will be available to all that have pre-ordered the game. The demo will go live February 1st, just a few weeks before the game's release.